Except Saturday and Sunday !!!! A ) Advance Reservation Required !!! B ) Photocopy of your passport picture page is needed in advance for visit permits. C ) Passports requried for security during the tour..
D ) The times are given by the Rabbinate & Times can change According to Them. Jewish community have lived in the geographic area of Asia Minor for more than 2,400 years. In the later Middle Ages, Ashkenazi Jews migrating to the Byzantine Empire and Ottoman Empire supplemented the original Jewish population of Asia Minor. At the end of the 15th century, a large number of Sephardic Jews fleeing persecution in Spain and Portugal settled in Asia Minor on the invitation of the Ottoman Empire. 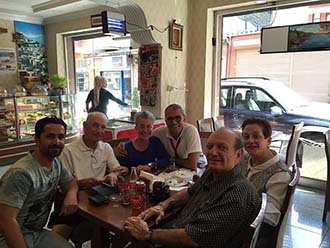 Despite emigration during the 20th century, modern day Turkey continues a Jewish population.The present size of the Jewish Community is estimated at around 26,000 according to the Jewish Virtual Library. 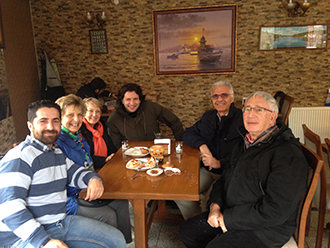 The vast majority live inIstanbul, with a community of about 2,500 in İzmir and other smaller groups located in the rest of Turkey. Sephardic Jews make up approximately 96% of Turkey’s Jewish population, while the rest are primarily Ashkenazic.Turkish Jews are still legally represented by the Hahambasi, the Chief Rabbi. Rav Izak Haleva, is assisted by a religious Council made up of a Rosh Bet Din and three Hahamim. Thirty-five Lay Counselors look after the secular affairs of the Community and an Executive Committee of fourteen, the president of which must be elected from among the Lay Counselors, runs the daily affairs. Arrival in Istanbul and transfer from airport to the hotel. Check in to the hotel. After a short briefing about your tour you will have Free Time for Sightseeing. ( Optional Turkish Bath Tour ) Overnight in Istanbul. Morning visit to a Jewish neighborhood, Galata. You will see the Galata tower built by the Genoese in 1303. 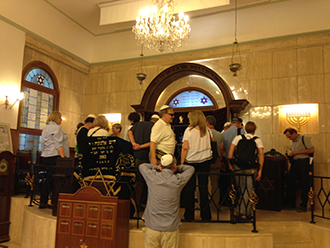 Visit the local synagogues, Neve Shalom and the Askenazi Synagogue and Ahrida Synagogue. 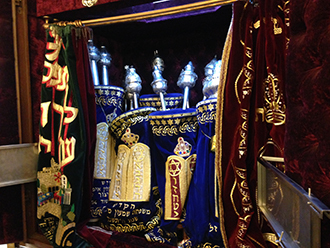 Jewish Museum is also included…… Overnight in Istanbul. Visit the Hippodrome, a 3rd century site, where chariots raced during the Roman period. Visit the Blue Mosque, famous for its blue tiles and six minarets. 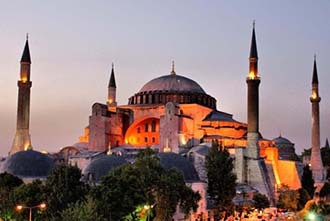 Visit St. Sophia, a world heritage site built in the 6th century. After lunch, visit the Topkapi Palace Museum , its priceless collection of jewels, and the Grand Covered Bazaar. Overnight in Istanbul. Pick up early from the hotel for the Bopshorus Cruise tour . Ortaköy, is a cosmopolitan area, bordering waters of the Bosphorus with communites of Turk , Greeks, Armenians and Jewish.The neighbourhood hosts many different religious.It is also a popular spot for locals and tourists a like with art galleries, night clubs, restaurants, sitting by the waterfront for drink tea and coffee. After breakfast check out from the hotel. We hope your tour was a memorable one and we look forward to seeing you in the future. * Services of professionally licensed guides on local tours. * Transportation in a fully air-conditioned, non-smoking coaches on local tours. 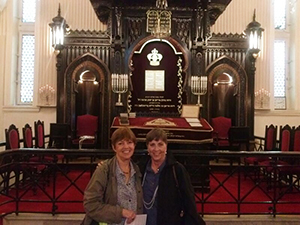 * English speaking guided tours of Jewish Heritage. * Inbound and outbound airport transfers to/from your hotel. What is not included !!!! * VISA needed for Turkey. * Tips to guide, driver, hotel staff etc. * Items of a personal nature. * Harem and Treasure room entrance fees in Topkapi Palace. * Drinks with meals (except the drinks served with breakfast). * Travel Insurance and medical services.